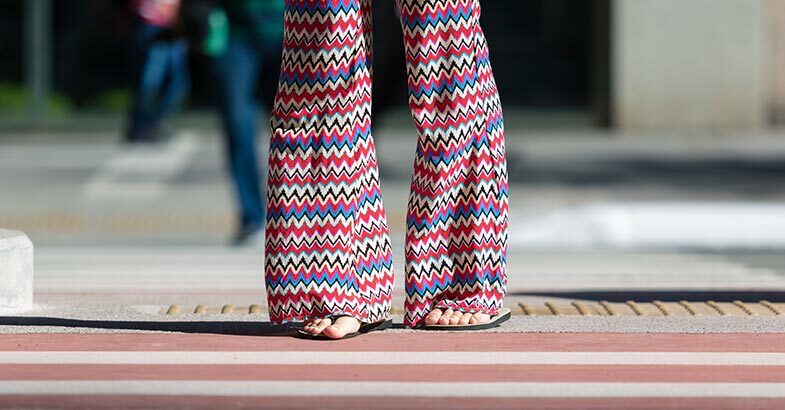 Is Your Brand Still Wearing Bell Bottoms? Wasn’t it mere minutes ago that we marketing types were gathered in the creative department staring wide-eyed at a teeny computer screen that not only smiled at us when booted up but also promised to usher us into a whole new era of possibilities? Wasn’t it just yesterday that our entire office shared a single 14K modem? Boy, do things change. And fast. The question is, have we changed? Rapidly evolving digital technologies have given us a monumental opportunity for supercharging brands and staying engaged with customers 24/7. Social media, especially, has created the true two-way conversation that we’ve always dreamed of. And yet, most marketers continue to be stuck in the past, desperately trying to make their offline mindset work in today’s online world. Rather than trying to cram in the proverbial square peg, progressive brand leaders understand that technology HAS fundamentally changed the branding discipline – and for the better. They also recognize that social media is not only about engaging the customer with the brand itself – it’s also about facilitating the customer’s engagement with others in the brand’s community through thoughtful conversations, meaningful content sharing and real-time interaction. Brand Your Business: Remember, your brand is much more than your logo, tagline or marketing materials. Developing a comprehensive brand platform will facilitate deeper understanding and thinking about your brand and will help to strategically evolve it across an ever-growing multitude of traditional and digital channels. Don’t Get Lost in Translation: Once you develop a unique, multidimensional brand platform, think about how your brand needs to act in each of the digital channels you employ. Your brand will always stake the same overarching position, but different aspects of its personality will emerge depending on which party it’s attending. Stop Selling and Start Socializing: Each new digital channel and social media tool brings another opportunity to engage with your audiences on a more intimate, authentic level. It’s high time we all become more engaged and social with our stakeholders. Whether B2B or B2C, we need to offer creative ways to bring the customer into the brand story – and let them drive it, too.